The box works with a Temperature controlled 100w infra-red heat element and 2 fans. With the two together it creates a constant warm air flow for drying. 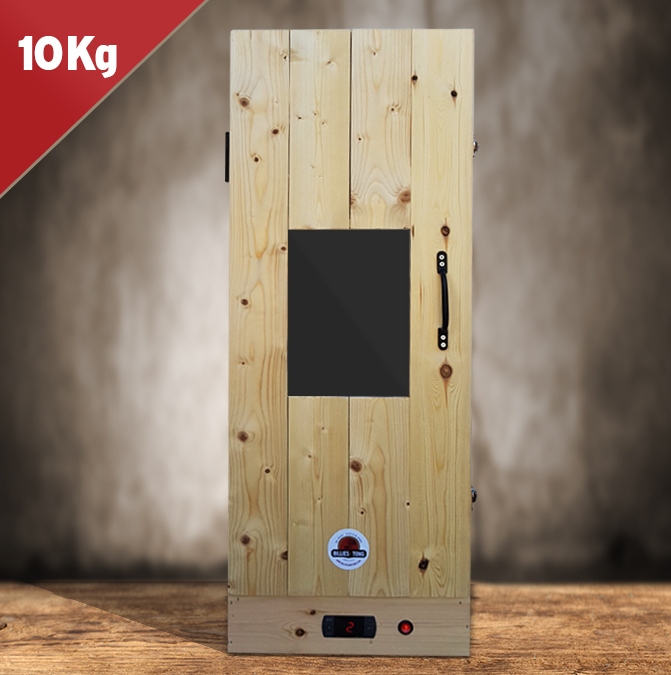 This box can hold up to 10kgs of meat, fish or fruit at one time. Drying time is dependent on what is being dried. Door latch for easy access.